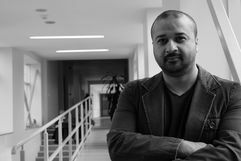 The Department of Architecture Theory congratulates Ozan Soya on the DAAD Doctoral Scholarship. 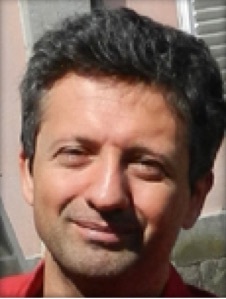 From August, Mr. Soya will be at the department working on his thesis: "Tectonic Thresholds. Evolving Notions of Architecture at the Turn of the 21st Century ". 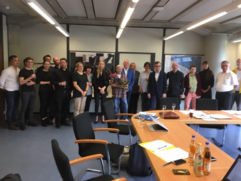 The Department of Architecture Theory congratulates our colleague Klaus Platzgummer on receiving funding from the Technical University of Berlin for his work at the department. From the 10th to the 13th of April Prof. Gleiter gave a lecture at a doctoral colloquium at the University of Belgrade. The title of the lecture was: "The Status of an Object. Philosophy of Architecture and the Overcoming of Presence". On March 29th, this year's International Summer School "Architecture and Philosophy" in Dubrovnik came to an end. 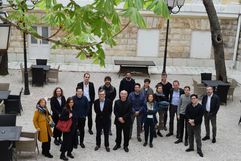 The Summer School "Architecture and Philosophy" took place for the fourth time this year under the leadership of the Chair of Architecture Theory. Its theme was: Around 1800/2000 - Aesthetics at the Threshold. Participants came from Brown University (USA), Politecnico di Torino (Italy), University of Kiel, University of Belgrade, University of Rijeka and TU Berlin. More information here. The Chair of Architecture Theory would like to congratulate Phil. habil. Paolo Sanvito for his habilitation in the field of architecture theory. The Habiliation Lecture took place on Wednesday March 20, 2019. The topic was „Theoretiker, welche die Bauhüttentradition des Gewölbebaus nördlich der Alpen zu Beginn der Neuzeit loben oder als überholt herausstellen“. The Chair of Architecture Theory is pleased to announce a doctorate position in Architecture Psychology funded by the Sto Foundation. The 2/3 position, which is limited to 3 years, is without teaching obligation and serves as a research assistant position in the field of architecture psychology. The application deadline is March 29th. Invitation to the public habilitation lecture by Dr. Ing. phil. Paolo Sanvito with the subject: Theoretiker, welche die Bauhüttentradition des Gewölbebaus nördlich der Alpen zu Beginn der Neuzeit loben oder als überholt herausstellen. The colloquium will take place on Wednesday, March 20th, at 1 pm in Room A111. This year, the Sto Foundation will finance a postgraduate position in psychology of architecture at the chair for architecture theory. After successful completion of the pilot project, the discipline will be expanded and permanently anchored in research and teaching. The official call will be made in March. More information here. 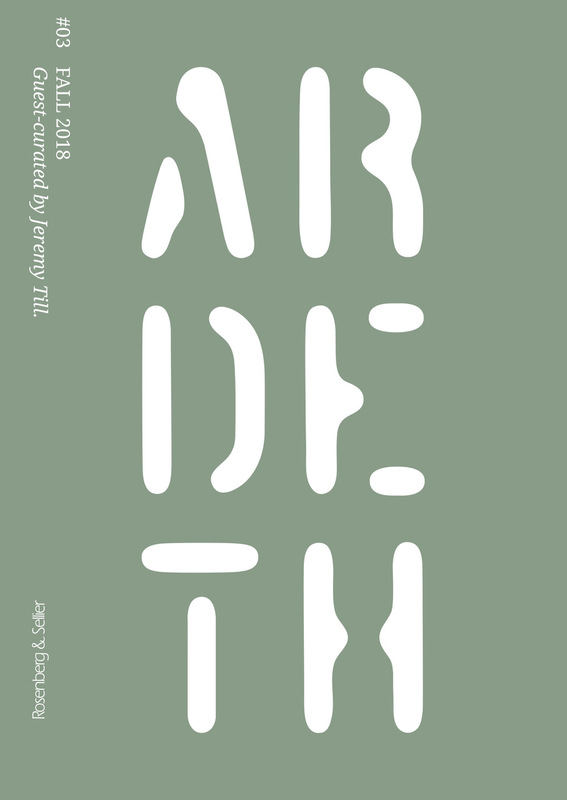 Ardeth - the Journal on Architecture Theory published by the University of Torino asks for the submission of papers for the upcoming issue Innovation - as it happens. Deadline for submission is Feb. 28, 2019. Aedes and TU Berlin have invited the architect Fernando Menis to give a lecture at the TU Berlin on the 17th of January at 7 pm, with the title: Fernando Menis: Backstage. More information here. The first volume in the three-volume series, Architekturtheorie. Grundlagen: Traditionelle Theorie. 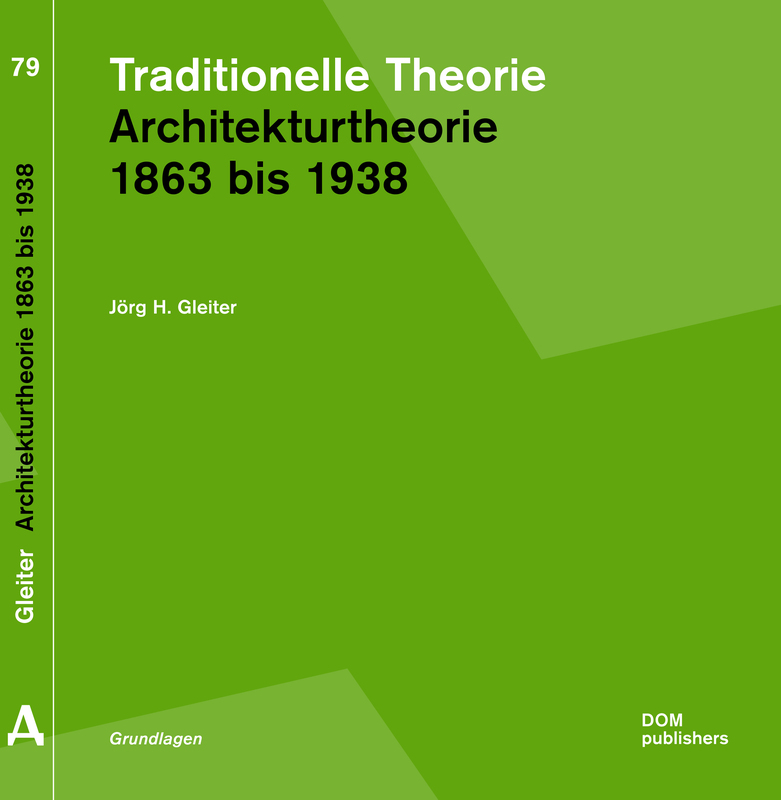 Architekturtheorie 1863-1938, by Prof. Gleiter, is available since December. 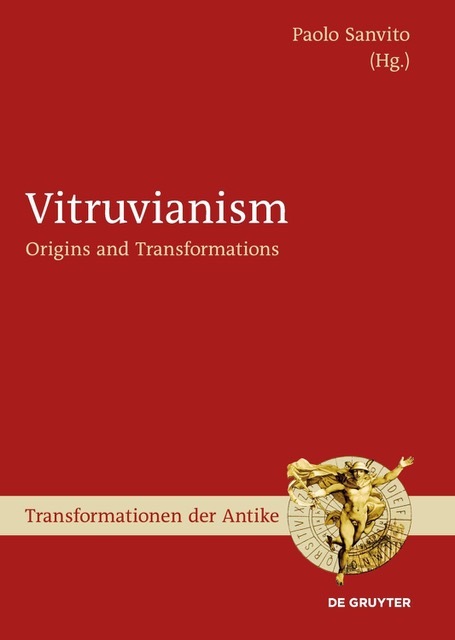 The first volume deals with the difficulties of tradition in the modern age and how with the new materials, technologies and social models, the tension between continuity and discontinuity of tradition becomes the trigger of theoretical reflection. 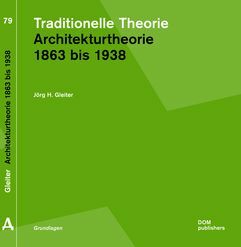 For students, a study edition is available for 16 € in the office of the Chair of Architectural Theory (Market Price 28 €). The Status of an Object. On the Future Pasts of Architecture. 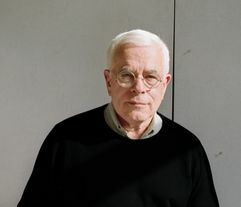 Symposium in honor of Peter Eisenman on Wednesday, December 19th, at 6:30 pm in lecture hall A 151 in the architecture building of the TU Berlin. Participants will be: Peter Eisenman, Rafael Moneo, Kristin Feireiss, Kurt W. Forster, Jürgen Mayer H. and Petar Bojanic, Moderation: Jörg H. Gleiter. The event will be broadcast via video stream. Prior registration is not required. 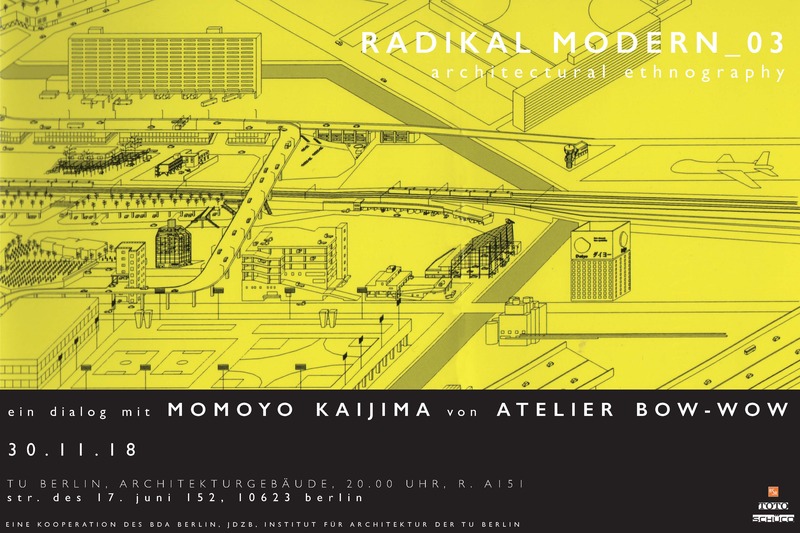 The third event in the lecture series RADIKAL MODERN will take place on November 30, this time at the Institute of Architecture, TU Berlin: Architectural Ethnography. A Dialog with Momoya Kaijima, Atelier BOW-WOW. The lecture series is organised by Prof. Heike Hanada and Prof. Gleiter, and is a cooperation between the BDA (Bund Deutscher Architekten), the JDZB Japanisch-Deutsches Zentrum Berlin, and the Department of Architectural Theory. 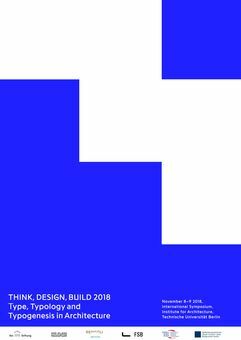 The second conference of the Institute of Architecture Think.Design.Build 2 will take place on November 8th and 9th, 2018 with the title Type, Typology and Typogenesis in Architecture. Participation in the conference is free. Keynote lectures on Nov. 8th: Mathias Müller / Daniel Niggli (EM2N, Zurich); on Nov. 9th: Arno Brandlhuber (Berlin). As an initiative of PhD students, a PhD colloquium on History and Theory of Architecture will be held at Princeton University on the 2nd/3rd of March, 2019. Deadline for the submission of exposees is the 15th of November. More information can be found on the flyer, here. Lecture by Prof. Gleiter on October 11, 2018, 4:45 pm, at the Institute of Philosophy of the University of Vienna. Prof. Gleiter will give the opening lecture of the interdisciplinary lecture series Philosophy and Architecture. 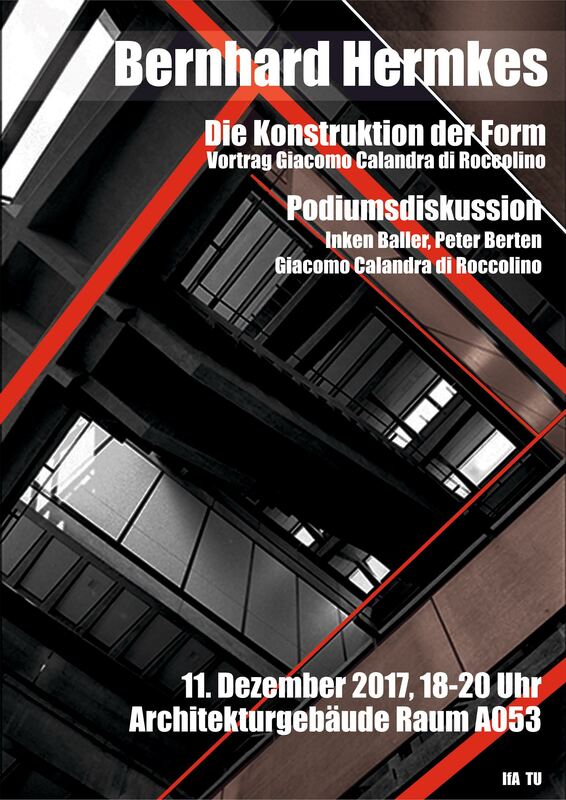 The title of the lecture is Grundlegung einer kritischen Erkenntnistheorie der Architektur (The Foundation of a Critical Epistemology of Architecture). The Institute for Architecture is currently organizing an international doctoral colloquium. The doctoral colloquium will be an integral part of the upcoming 2nd International Conference Think. Design. Build. 2 – Type, Typology and Typogenesis in Architecture, which will be held on November 8th and 9th on the campus of the Technical University Berlin. Twenty doctoral students in five small panels will be given the opportunity to present and discuss their research findings with the distinguished scholars of the conference. 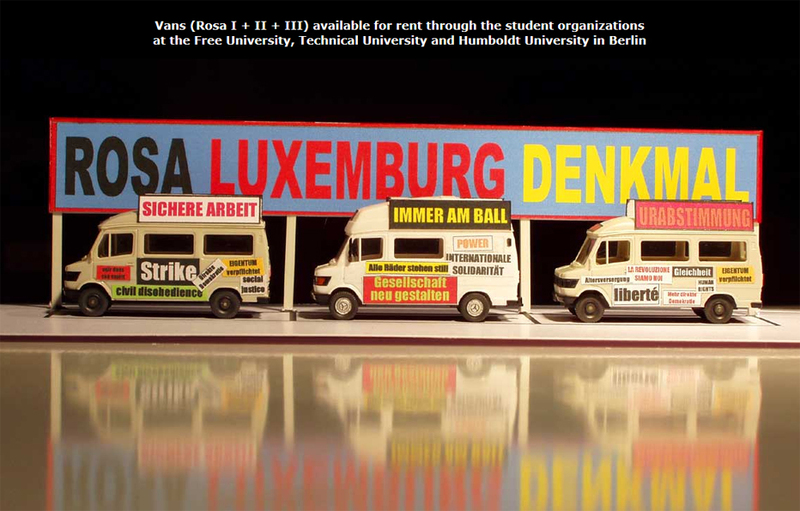 The Berlin Summer School of the UdK will take place from August 30th to September 3rd under the title IBA 87 Revisited - Postmodernism in Architecture. Interested parties please register here. 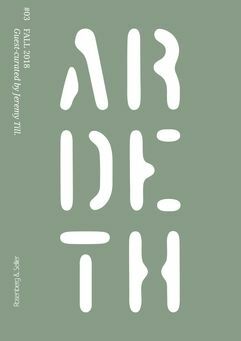 On July 20th and 21st the annual exhibition of the Institute of Architecture will be held for the sixth time. The works of the students of the past year will be exhibited in the foyer of the architecture building and in the studios. The opening will start in the foyer at 5 pm, followed by a tour through the building, in which each faculty will present its work. Afterwards, the summer party will start at 10 pm. The official farewell of Ms. Konopka took place on July 11th at the Institutsrat. For many years, she has contributed to the success of the Institute of Architecture. The Department of Architectural Theory would like to thank Ms. Konopka and wishes her all the best for the coming years. On September 13, Prof. Gleiter will hold a panel discussion at the Salon Swiss in Venice, together with Prof. Ludger Schwarte (Akademie Düsseldorf). The panel discussion is part of the series En marche de l'architecture, and the theme is Reconsidering the Cultural Value of Architecture. Prof. Gleiter will give a lecture at the Japanese-German Center Berlin on July 11th at 7pm. The topic of the lecture is Maschine. Villa Katsura. Akropolis – Bruno Tauts architektonische Ursprungsfantasie, which will take place in the series Radikal_Modern. The opening of the exhibition Bernhard Hermkes - Leben. Werk. Wirken. will take place on June 9th, at 5 pm in the foyer of the architecture building. The exhibition is a student project of the History Workshop of the Institute of Architecture. It is part of the Langen Nacht der Wissenschaften (Long Night of Sciences). 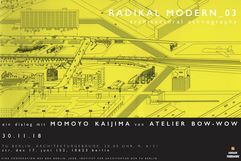 The opening lecture of the lecture series RADIKAL MODERN_ 01 JAPAN: Berlin's Avant-garde and its International Interactions will take place at the Japanese-German Center Berlin on Thursday, May 31st. The lecture series is organised by Prof. Heike Hanada and Prof. Gleiter, and is a cooperation between the BDA (Bund deutscher Architekten), the JDZB Japanisch-Deutsches Zentrum Berlin, and the Department of Architectural Theory. 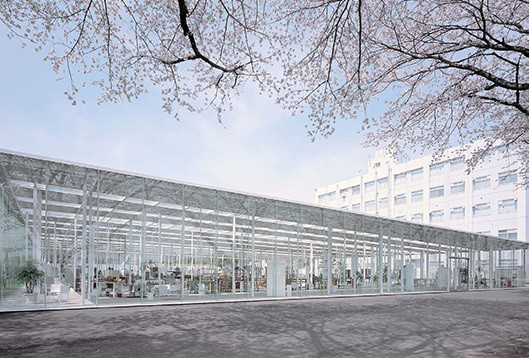 At the opening, the Japanese architect Junya ISHIGAMI will give a lecture followed by a talk with the organisers. The lecture will begin at 7pm. A symposium in memory of the architect Myra Warhaftig (1930-2008) will be held on the 17th and 18th of May. 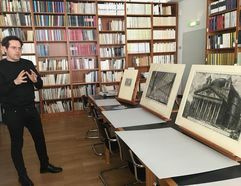 It is organised by the Gesellschaft für die Erforschung des Lebens und Wirkens deutschsprachiger jüdischer Architekten e.V. together with the Department of Architectural Theory TU Berlin and the Bauhaus-Universität Weimar. It will begin at 5pm on May 17th in the forum of the TU architecture building. 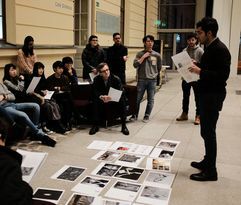 The architecture trade magazine db - Deutsche Bauzeitung - has announced a student competition for architectural criticism with the topic "Standpunkte". Closing date is September 30, 2018. The competition documents can be downloaded from the db website. 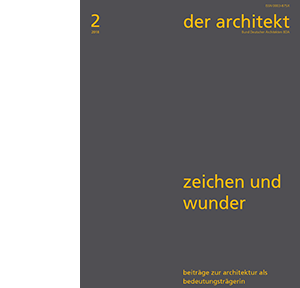 Issue 2/2018 of Der Architekt, Zeichen und Wunder: Beiträge zur Architektur als Bedeutungsträgerin, has been published and was curated by Prof. Gleiter. 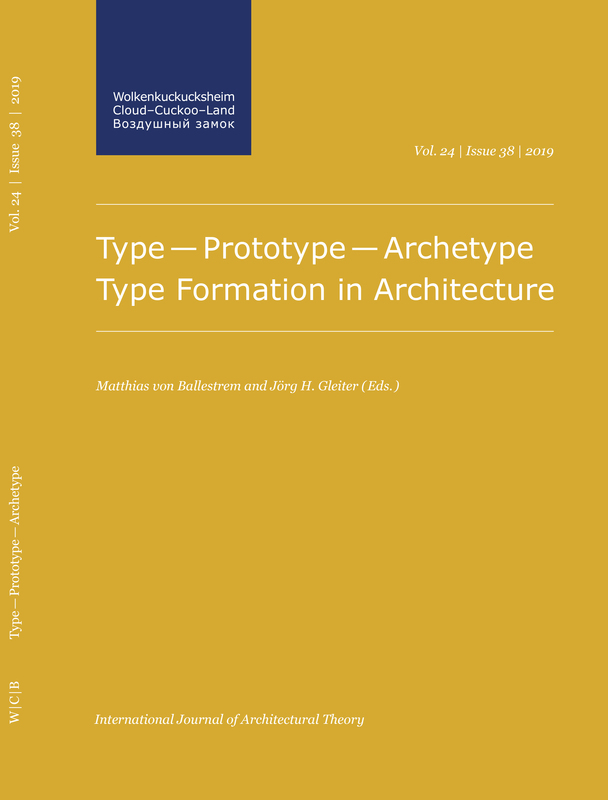 In addition to many interesting and informative essays, there is an essay by Prof. Gleiter on Zeichen und Anzeichen der Postmoderne: James Stirling und das Leicester Engineering Building and two shorter articles by a student and a graduate of the Institute for Architecture (IfA). 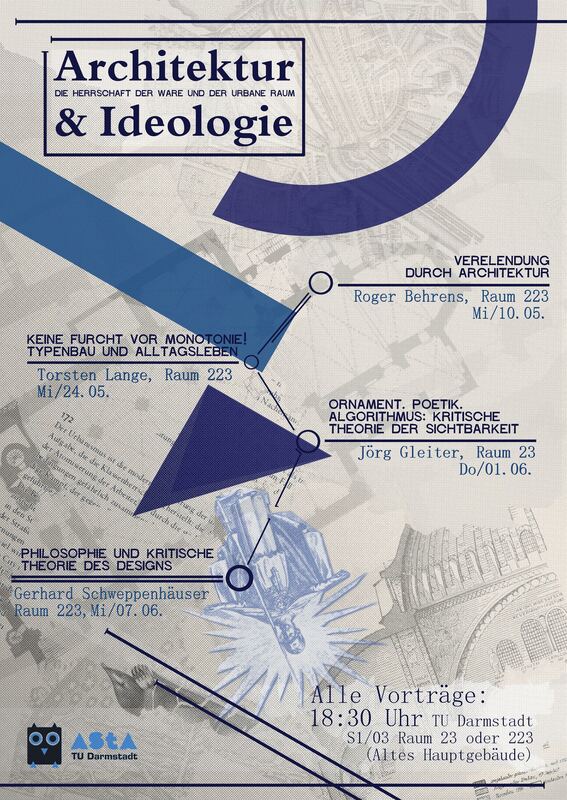 Prof. Gleiter will hold a lecture in the series Philosophy of Architecture at the FH Köln on the 19th of July, 2018. The title of the lecture is: „Architektonik ist die Kunst der Systeme“. Anmerkungen zur kritischen Erkenntnistheorie der Architektur. 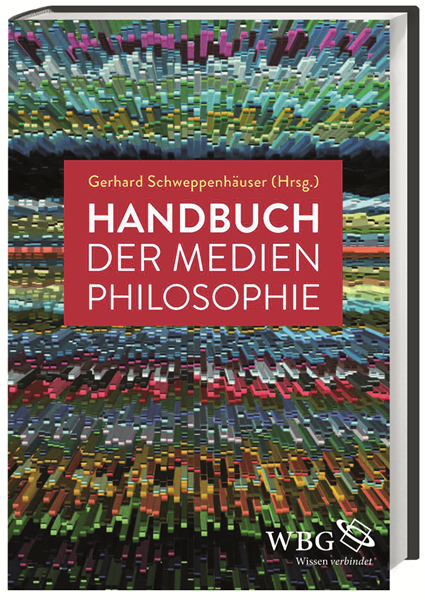 In March 2018, Handbuch der Medienphilosophie, edited by Gerhard Schweppenhäuser, was published. 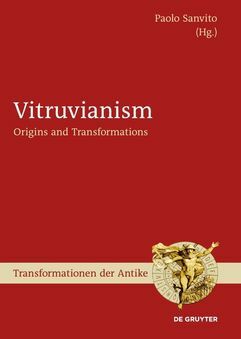 It contains a contribution of Prof. Gleiter to the media philosophy of Friedrich Nietzsche whose title is: Schreibmaschine, Stimmgabel, Architektur: Instrumentalität und Materialität in Nietzsches Medienphilosophie. The architectural theory faculty will organise the third “Summer School” in Dubrovnik to be held September 17-21, 2018. The topic this year is: Notation, Algorithm, Criticism: Towards a Critical Epistemology of Architecture. The application period for participation is yet to be announced. 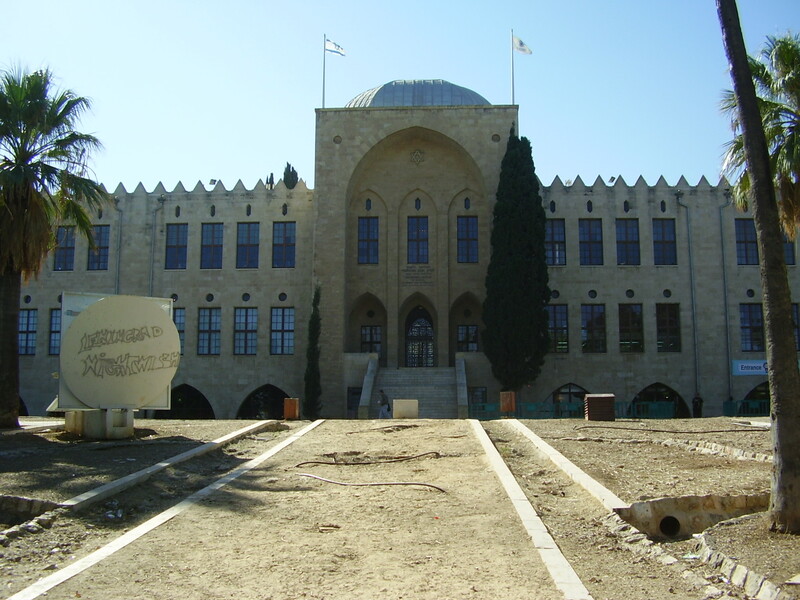 Prof. Gleiter will be at the Technion in Haifa / Israel from May 5-10, 2018. There he will be the chair of the International Evaluation Committee of the Faculty of Architecture and Town Planning. 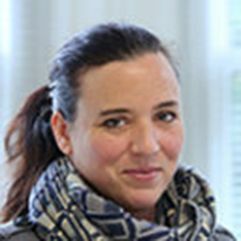 FG Architecture Theory would like to welcome a new colleague, Dr. Katharina Borsi. Katharina has trained as an architect and urbanist at the Technical University Berlin and The Bartlett School of Architecture and Planning, and holds a Master and Doctoral degree from the Architectural Association, London. 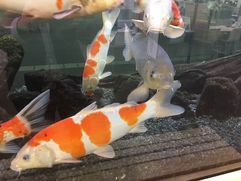 At the University of Nottingham she ran the MArch Architecture (ARB/RIBA Part 2) programme and played a key role in setting up a Masters programme focusing on research collaborations with practice. Prof. Gleiter will be at Waseda University along with Prof. Taishi Watanabe on April 6th. Both of them are jointly supervising the master thesis of Lorenz Krauth. It is the first Master's thesis to be jointly supervised by the two faculties in Tokyo and Berlin. The deadline for applications for the english-language, international masters program M-Arch-T, starting this winter semester 2018/19, is until May 15th, 2018. The faculty of architectural theory would like to encourage those interested to apply. More information can be found here: www.m-arch-t.tu-berlin.de. On February 5th, the Seminar "Typology I: Memorials and the Lived Space of Recollection" held an excursion in the Jewish Museum Berlin. The seminar looked into the various forms of collective remembrance and how they change over time. It critically assessed the architectural, intellectual, philosophical, social and historical background of these changing concepts of public recollection. 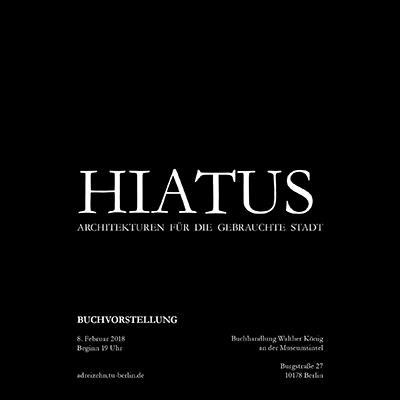 On the 8th of February at 7 pm the presentation of the book Hiatus. Architecture for the Used City will take place in the bookstore Walther König (Burgstraße 27, 10178 Berlin). Prof. Gleiter will lead the panel discussion. Participants will be: Prof. Ute Frank, Dipl.-Ing. Patrick Loewenberg and Prof. Matthias Müller. 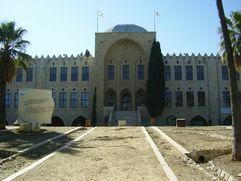 The book was written at the Department of Building Construction and Design by Professor Frank. Deadline for the Call for Papers is 21. Februar 2018. The symposium deals with forms, features and interactions of particular processes in research-related design and design-related ways of research in architecture, urban design and landscape architecture. More information here. The FG Architectural Theory will organise a doctoral colloquium for the 1st and 2nd of February. The colloquium will begin the 1st of February at 3 pm in room A 111 of the Architecture Building of the TU Berlin. Guest critics will be: Prof. Dr. med. Kirsten Wagner (Bielefeld University of Applied Sciences), Prof. dr. Matthias Noell (UdK) and Prof. Dr. med. Olé Fischer (University of Utah). Interested students and doctoral students are invited to participate. The Geschichtswerkstatt of the IfA invites you to the opening of the exhibition Bernhard Hermkes. Life. Teaching. Works. The opening will take place on January 29 at 6 pm in the Forum of the Architecture Building. The lecture will be given by Prof. Hinrich Baller, a research assistant in the faculty of Bernhard Hermkes. 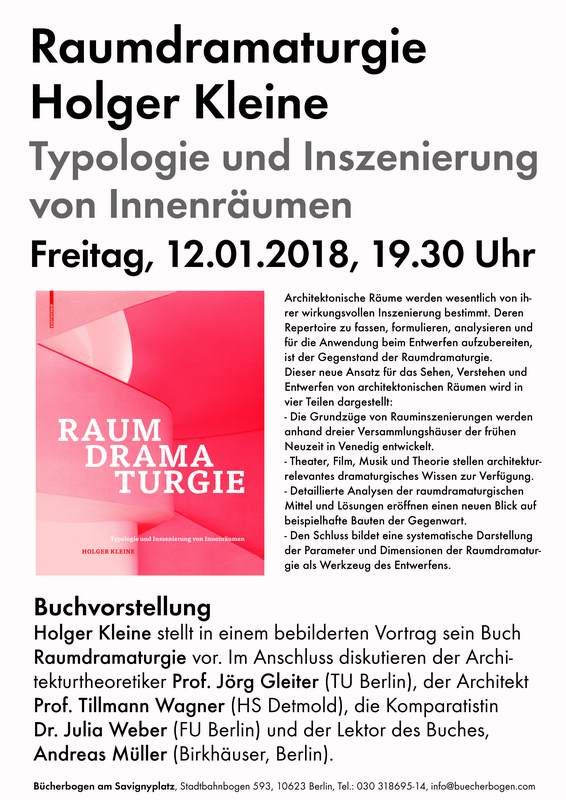 On January 12th at 7:30 pm Prof. Holger Kleine will present his new book Raumdramaturgie in the Bookstore Bücherbogen at Savigny Platz. 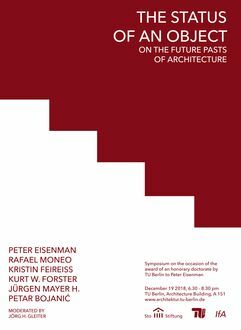 Subsequently, under the direction of Prof. Dr. Jörg Gleiter, architect Prof. Tillmann Wagner, cultural scientist Dr. Julia Weber, and editor Andreas Müller, will discuss the book. The two artists Renata Stih und Dr. Frieder Schnock will hold a lecture during the Seminar Memorials and the Lived Space of Recollection on Monday, December 18, 2017 at 18:15, in Room 201a. The department of Architectural Theory invites you to a lecture and a panel discussion about the architect Bernhard Hermkes. Starting March 1st 2018, a part-time position as a research associate will be available at the Architectural Theory Department at TU Berlin. Interested candidates are asked to send their application until December 1, 2017. On November 4th, the conference Building Knowledge Neighbourhood will take place in the Villa Bell in Berlin. The conference is a collaborative initiative by Dr. Katharina Borsi of the University of Nottingham and Professor Gleiter, along with the Architectural Association and Hybrid Platform. At 10:15 Prof. Gleiter will give a greeting and introduction, followed by a lecture by Dr. Katharina Borsi and Lawrence Barth. At 11:00, Dipl.Ing. Sandra Meireis, former research associate at FG Architekturtheorie, will also hold a lecture. On November 10th to 13th, Professor Gleiter is invited to hold a lecture at the urbanlab_am Yerevan. His lecture will be called: Japan after 1945: The Traumata of Modernization. Proffessor Gleiter will take part in the ArchitekturTheorieTagen 2.0 on November 3rd at Leibniz Universität Hannover. Professor Gleiter will hold a lecture on Critical Theory of Ornament on June 1 at 18:30 at TU Darmstadt. 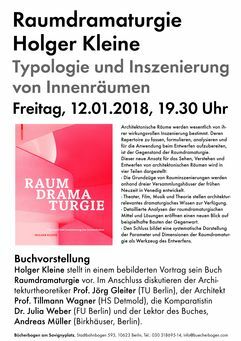 The Lecture is part of the event Architektur & Ideologie, organised by ASTA TU Darmstadt. On May 11th, Professor Gleiter will participate in the Bauhaus-Universität Weimar Bauhaus Open 2017: The Odd and the Peculiar in Architecture. More information can be found here. Professor Gleiter will give a lecture on 3. April 2017 at 3pm at the B.A.U. International Hochschule. The title of the lecture is Ornament and the Excess of Form. 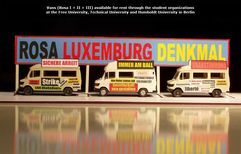 Professor Gleiter will give a talk as part of the Lunch Talks series at the Exzellenzcluster Bild Wissen Gestaltung at Humboldt University, Berlin on 7. February 2017. Raum SO 22 ZL. The topic is: Index, Tectonics, Algorithm: Architecture and the Intellectualization of Perception, or What Architecture Speaks About. The talk will be held in English. History and Political Critique of Architecture. International colloquium as part of Research Group Berlin-Milano will be held on 27 January 2017 at Politecnico di Milano. 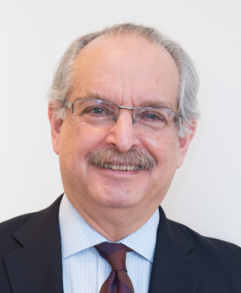 Professor Gleiter will hold a lecture at the conference Das Diaphane. 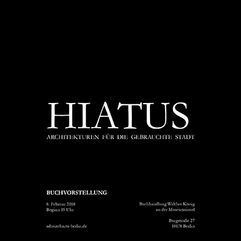 Architektur und ihre Bildlickeit at the Bauhaus University, Weimar on 20 January 2017. The lecture is called Lichtmystik, Poetik, Textualität: Zum Wandel des Konzept des Diaphanen in der Architektur. Professor Gleiter will give a lecture at the Politecnico di Milano on 16 January, 2017 with the title: Ornamento, Indice, Algoritmo – Architettura e l'Intellettualizzazione della percezione. The lecture will be held in Italian. 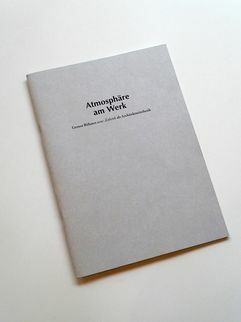 The Architecture Theory Faculty is pleased to announce that the research Paper Atmosphäre am Werk by Karoline Fahl was awarded the Daniel Gössler Prize 2016. We congratulate Karoline and wish her success in her future projects! Professor Gleiter will give a lecture as a part of the Young Bauhaus Research Colloquium in Weimar with the topic: Bauhaus, Modernism, and the Intellectualization of Perception. Colloqium is from 26-27 October, 2016. Professor Gleiter will give a lecture with the title "The Intellectualization of Perception – Architecture as an augmented space of reflection and sentiment" at the Università di Catania - SDS Architettura Cattania on 20 October, 2016. The first Summer-School with the topic Social Inequalities and Cities took place in Inter-University Centre in Dubrovnik, Croatia from 19-23 September, 2016. Five architecture students from TU Berlin took part in the program and shared their thoughts about inequalities in cities. 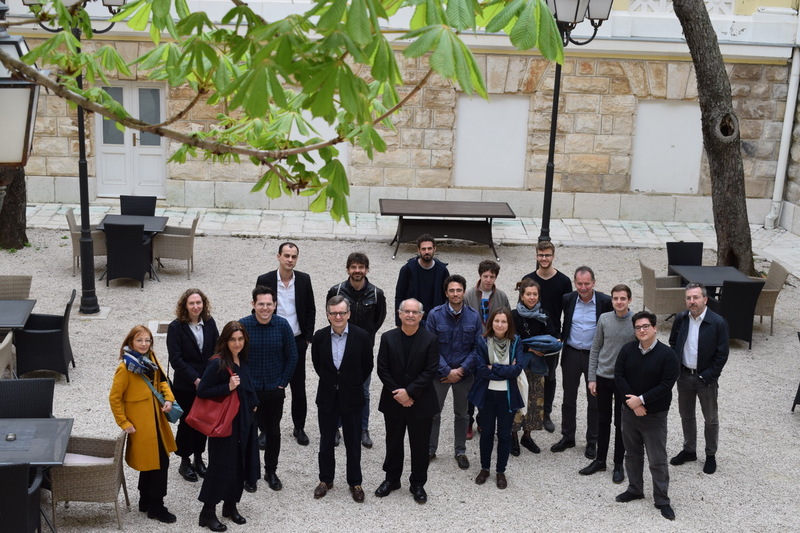 The workshop marks the first part of a five-year interdisciplinary joint project between philosophy and architecture.